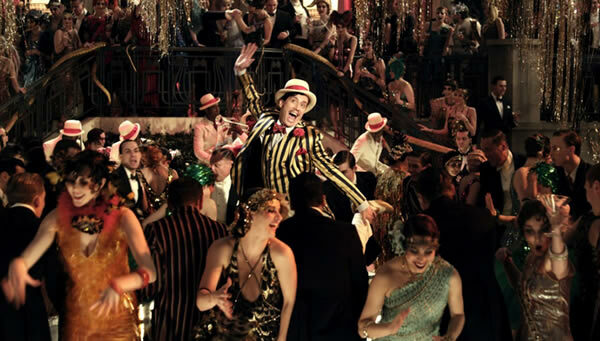 Be inspired by The Great Gatsby movie and step out in style! 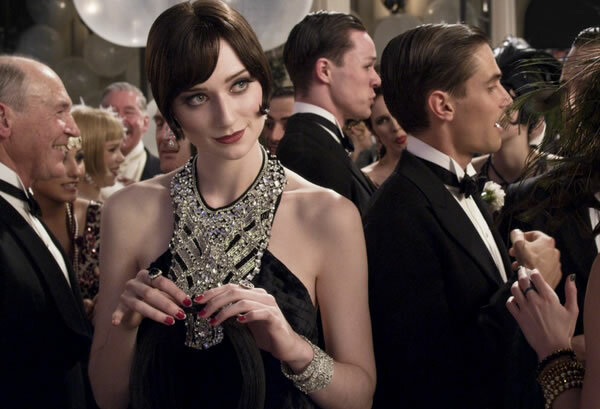 40+ Style » Finding your style » Great Gatsby Style – Are you ready to go back to the 20s? 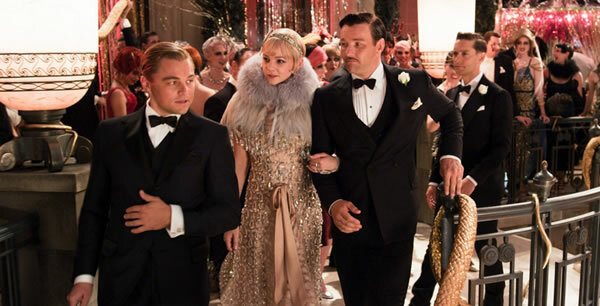 Great Gatsby Style – Are you ready to go back to the 20s? 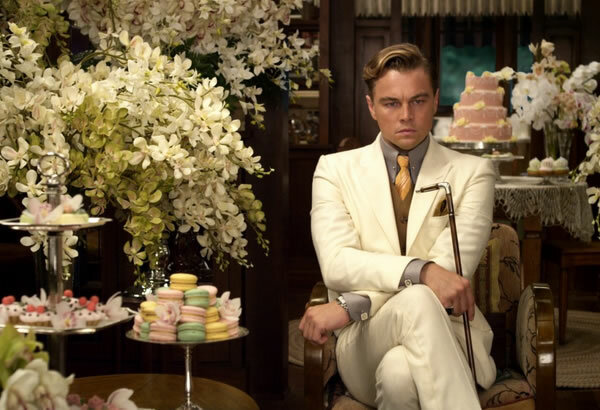 Are you as excited as me to see the film The Great Gatsby from Baz Luhrman and starring Leonardi Di Caprio, Toby Maguire and Carey Mulligan? I think it’s going to to be feast of cinematic experience, drama, fashion and music. I expect it to be in the same league as his other great films Moulin Rouge and Romeo and Juliet so I have very high expectations! To get you and myself in the mood for this film, have a look at this beautiful trailor featuring music from Lana del Rey (another favorite) and Beyonce. What I love about Baz Luhrman and his wife Catherine Martin is that they pay a LOT of attention to both music and fashion. They are as important as the film itself and in turn they influence the fashion we wear. Here are some pictures (all taken from the movie’s promotional website). This looks wonderful – I will definitely make a point to see this! I’ve been obsessed with Downton Abbey, which is also from this era. I am noticing the influence in fashion. 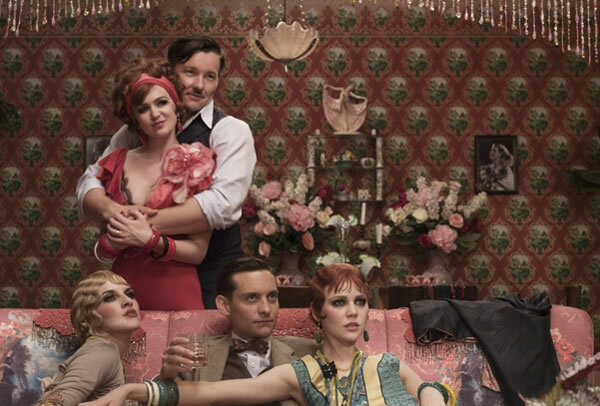 Only recently, am I coming to appreciate how liberal the 20’s were. That was the 60’s of our grandparents generation. I love the fashion from this area. I love the dropped waist and the shorter hair. Yes, love Downtown Abbey too; one of the few shows I watch. Why have I never featured that on this site? Can’t wait to see this film. It will be here in 2 weeks time…. I cannot wait for this film! I love 1920’s fashion (wish the shapes suited me better!) and I think Baz Luhrman is a genius. I’ve actually just dug out a dress with a vague 1920’s shape to it to wear to a wedding next month, however I can’t work out what will go over it in the way of a jacket/shrug. Being in the UK I just know I’ll need something warmish on top! Perhaps a nice fine cardigan? Cashmere or silk? Something that flows with the dress. Or like you say a nice shrug of a good fabric. Oh no, for these kind of films, I adore the theatre. I may treat myself to gold class! Sounds nice. We don’t have anything like that here. It’s crowded, over-air conditioned theaters with stick seats and floors. Yuck! Our local cinema is the size of my living room so I think I will stay in my living room! (We do have large, modern places too! LOL!). I think Marianne and I should see this movie together. As for dresses with a dropped waist… they are the pitts (did I spell this correctly?) for my figure, so I pass on that one. But art deco has my love. Sounds like a plan Greetje! I love the sweet soft colors, but bobbed hair, flapper dresses and sequins are just not me. I’ll take the long ropes of pearls, florals and textures. Just pick what you like Meggan. That’s always the smartest thing to do with any trend. Thanks for leaving your feedback at 40+Style! I have always thought that the styles of the Gatsby Era would be good for me with my too tiny mouth and slightly turned up nose, so I’m excited that the 20’s may make a comeback. Better late than never I suppose! Besides, I’ve heard that once you’ve lived through a clothing style, you shouldn’t try to do it again and at 64, I’m running out of eras! You sound very much like me Carolyn! I think we will see more of the 20st style so have fun with it! Thanks for leaving your first comment at 40+ Style! I expect I will see the film on DVD. I do own a beautiful, navy, beaded party dress in 20s style which I will never get rid of but generally the style suits boyish figures. This style of dress tends to hang off my sticky out bits and hide my sticky in bits! Previous post: Wearing a dress over trousers: dressing challenge results!